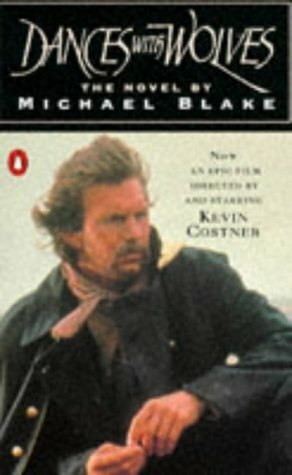 In honor of the 20th Anniversary of the Academy Award-Winning film adaptation of the novel, Michael Blake's historical masterpiece Dances With Wolves is now available in digital form. With a new preface by the author, the e-book edition of Dances With Wolves brings the 1988 classic to a new generation of readers. When Lieutenant Dunbar receives his orders to join the regiment stationed at Fort Sedgewick, he has no idea that the post has been completely abandoned. Left to guard the fort alone, Dunbar finds himself with nothing but the open prairie for company - that is, until a band of Comanche Indians returns to their summer grounds a few miles away. Dunbar is soon faced with a choice between his obedient solitude and the compelling way of life offered by the neighboring Indian people. But each choice has its consequences. This man of the prairie will first have to decide whether he is Lieutenant John J. Dunbar, U.S.A, or the Comanche warrior known as Dances With Wolves. Ordered to hold an abandoned army post, John Dunbar found himself alone, beyond the edge of civilization. Thievery and survival soon forced him into the Indian camp, where he began a dangerous adventure that changed his life forever. Relive the adventure and beauty of the incredible movie, DANCES WITH WOLVES. Michael Blake (1945–2015) was the author of Dances With Wolves, Airman Mortensen, and Marching to Valhalla. He received an Academy Award for his screen adaptation of Dances With Wolves.